Geek Triumvirate will be making its annual pilgrimage to DragonCon in Atlanta again this year. To countdown the days we will be sharing images, videos, and helpful tips from our previous visits. Trailer for new season of Doctor Who was released. Whovians are strongly present and DragonCon and imagine this year will be no exceptions. Below is a picture from 2012. 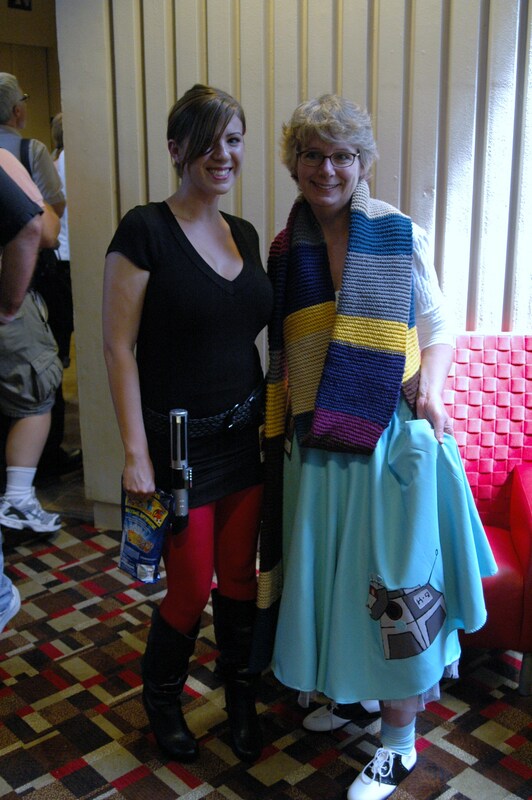 Amanda and Doctor Who cosplayer at DragonCon 2012. Amanda is a Sith and women is wearing a K-9 poodle skirt and 4th Doctor scarf.